Super simple, clean, low carb, paleo friendly and healthy! What more could you ask for? 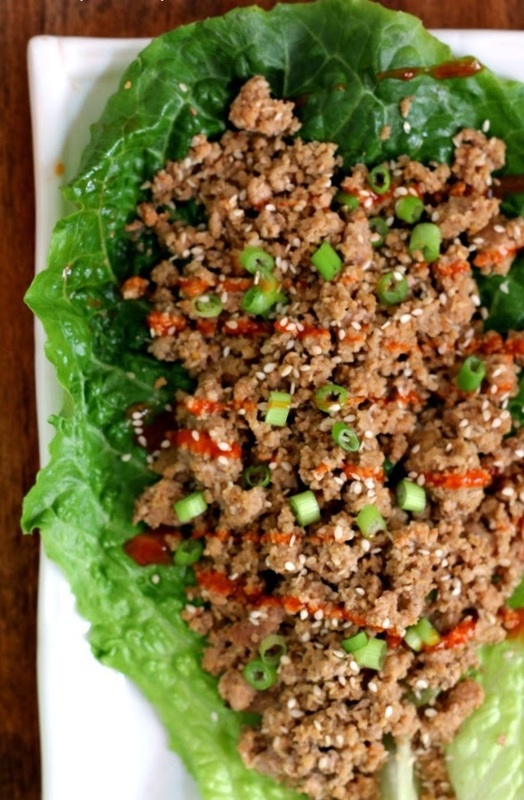 I love lettuce wraps and the more variety I can add to the meat (or turkey) portion, the better! Here's a recipe with a little kick to it! The hubs likes spicy and sriracha is one of his faves so this is one I make often! Enjoy! 1. Place turkey, garlic, ginger, sesame seeds, sriracha and salt in the slow cooker. Use a large spoon to break up the meat as much as possible. 2. Cover and cook on LOW for 4-6 hours or on HIGH for 2-4 hours. Break up the meat with a spoon and give a good stir. 3. Serve meat wrapped up in lettuce and top with extra sriracha, sesame seeds and green onions, if desired. Recipe via Karen at 365 Days of Crockpot! How to Run Faster and Farther!